Register Now The BeerCanBeiner and Turkey Trot can be entered on site with cash. Skiing is still the main event with at least 30km of trails open and set. Préférez-vous Français? 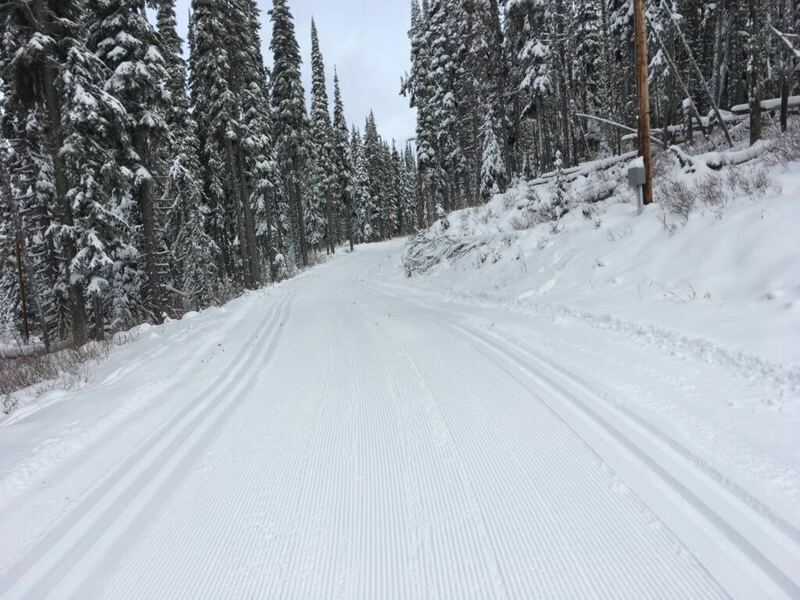 Early season conditions, November 23, 2016. If you are interested in the latest skis and gear, it is here to demo on natural snow. If skiing is better with beer or chocolate, we have events just for you. If you are a racer, this is your chance to do an early season elevation camp just like the pros. Sleep in SilverStar village (1,600m/5,250 ft), ski up to the top (1,900m/6,250 ft). For a high/low camp, rollerski, bike or run down in Vernon (400m/1,300ft), just 25 minutes away. There are two ‘races’ during the weekend: the BeerCanBeiner, and the Turkey Trot. Want to win a prize? Skiing fastest won’t help you this weekend. Some people will try to win anyway, but it takes a dedicated person to ski past a chocolate station at race pace. 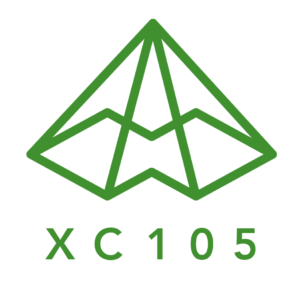 If you want to become a better skier, XC SuperCamp is a great way to improve. Get 10% off camp 3 (Nov 27 to Dec 1) if you buy a four day festival pass. Camps 1 and 2 are concurrent with the Festival. Excited yet? The details are here. If it isn’t all about the skiing for you, here is a summary. Turkey Trot, point to point with a chocolate twist. 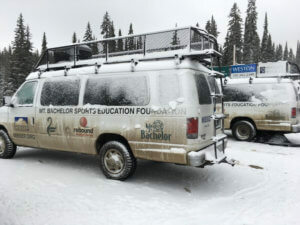 Two vans full of skiers made the drive from Oregon last year. November 25, 2016. In 2016, skiers from Mt Bachelor SEF made the trip up from Oregon. Was it was worth the 12 hour drive? Well, Momentum Northwest answered the same question about their six hour drive…. Like the idea, but November is too early for you to start skiing? We have reliable natural snow up until the Spring Fling, our annual May snow camp.